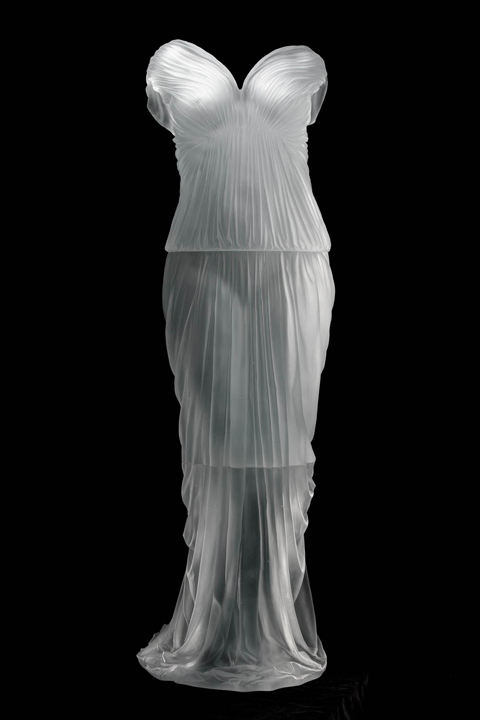 Tom Philabaum studied with Harvey K. Littleton at the University of Wisconsin, earning his MA in glass and ceramics in 1973. He built his own studio soon after in Arizona, where he continues to create through glassblowing, casting, slumping/fusing, and dalle de verre. 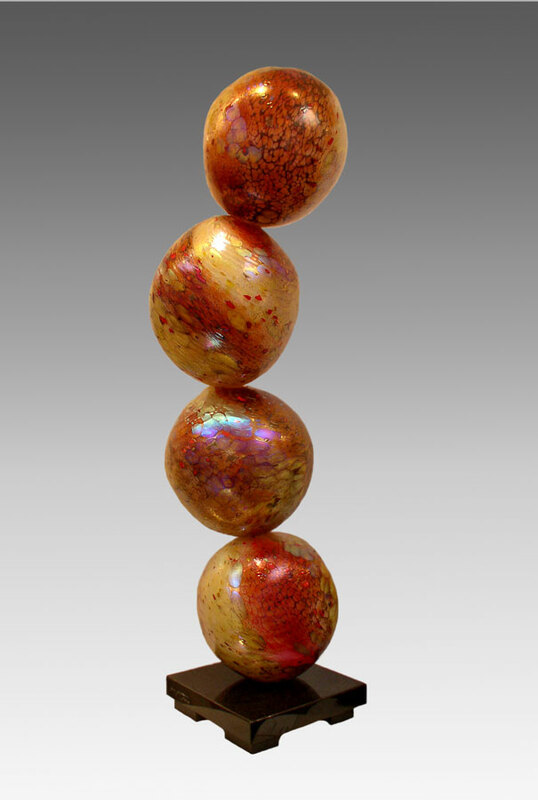 He is represented by Philabaum Glass Gallery in Tucson, Arizona. 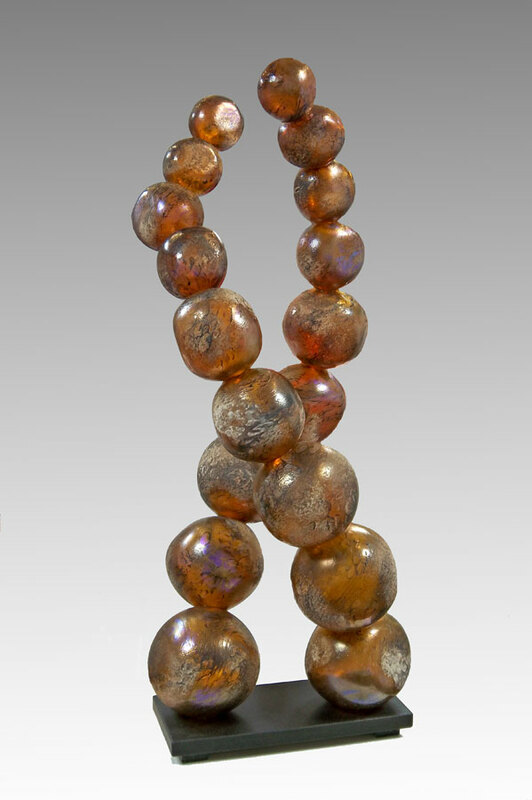 My involvement as an artist began in the late 1950s and early 1960s at the Toledo Museum of Art School. Coincidentally, around the same time, Harvey Littleton, the acknowledged Father of the Studio Glass Movement, began his first experiments in glass working using a small furnace built in the parking lot of the Toledo Museum School. My interest then was Winslow Homer paintings, drawing from life, and playing my cornet. During my college years, I immersed myself in drawing and painting until I discovered clay. Working in ceramics was like coming home. It fed my need for physical and spiritual involvement in the aesthetic process. Following graduation, I took a job teaching near St. Louis, and began graduate ceramics studies at night. The hand-built slab forms I made really called for "something else" to complete them. My instructor suggested blown glass forms as a possible solution. Furthermore, it was his idea that I move to Madison, Wisconsin, to study glass with Harvey Littleton and continue clay with Don Reitz. I began the quest to synthesize and marry clay and glass. While at Wisconsin I worked equally hard in both materials, but had less than successful results in combining the two. By that time, 1971, Harvey was in the process of removing himself from day-to-day studio teaching and concentrating more on our philosophical and aesthetical growth through group seminars. The person who took over hot glass operations was Eriks Rudans. Eriks was a tremendous influence on my approach to studio work. After receiving a Master of Arts degree, I moved to Chicago to teach. As much as I loved teaching and the rapport I had with kids, I knew something was missing. I didn't belong there. A trip to the southwest in 1974 convinced me of my life's next direction. Shortly after arriving in Tucson, I took over the lease on a pottery school and started a clay and glass cooperative with six other people. We all struggled at juggling day jobs with studio work at night and on weekends, for years. By 1977, my glass started to be exhibited in some galleries around the country. However, most of my glass finances were covered by selling wine goblets, tumblers and paperweights at art fairs, and working as a photographer. Continuing to be involved in clay, I returned to school and received an MFA in ceramics from the University of Arizona (1983). 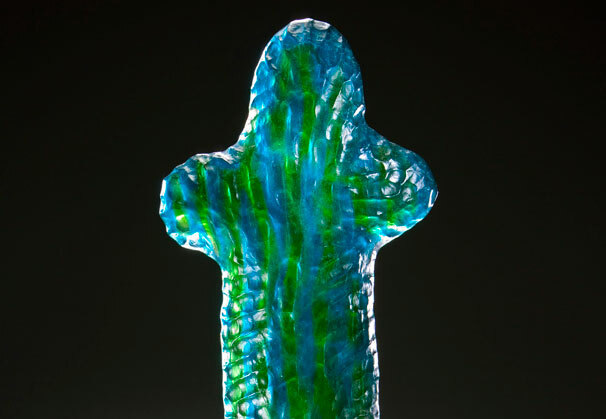 Around that time, I had perfected a technique of design and form in glass that came to be called the "Reptilian" series. These pieces really got things happening. I was invited to Iceland to show and give lectures and workshops and later with my new partner, Bob Carlson, to Germany to produce work for a solo exhibition (1985) and for some museum collections. Shortly thereafter, we dissolved our partnership and since that time I have operated Philabaum Studios in a remodeled and expanded former Tastee-Freeze restaurant in Downtown Tucson. 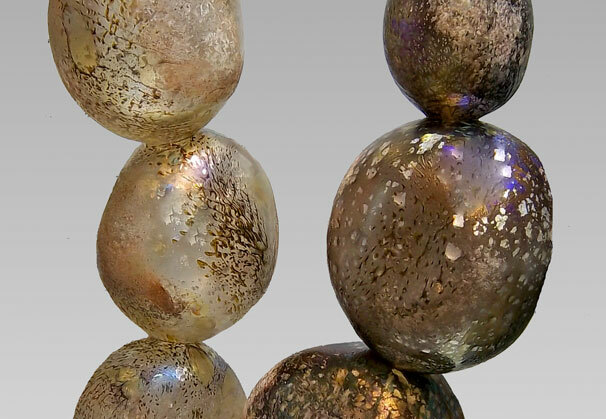 Simultaneous to the “Reptilian Series”, I developed a body of blown glass monolithic forms called Histoliths, merging ideas derived from my impressions of micro-scanning images of plant and animal tissues with obelisk-like forms. This work led to a commission for the Arizona Governor’s Arts Awards. In 1988 I was appointed to two local Arts Advisory Boards, and began to take an interest in the disbursement of art money, and influence. As a result of this involvement I learned to write grants, one of which allowed me to visit Guadalajara, Mexico (1989) to develop contacts for an exchange program with Tucson (Guadalajara & Tucson are “Sister Cities”). This culminated in another grant in 1990 to visit Mexico City to research a similar project, then on to Guadalajara. For two weeks I produced work at the Camarasa Glass factory in Tlaquepaque. The work was exhibited at the Galeria Palacio Nacional in Guadalajara, and the proceeds went to benefit the Institute for the Blind and a local orphanage. 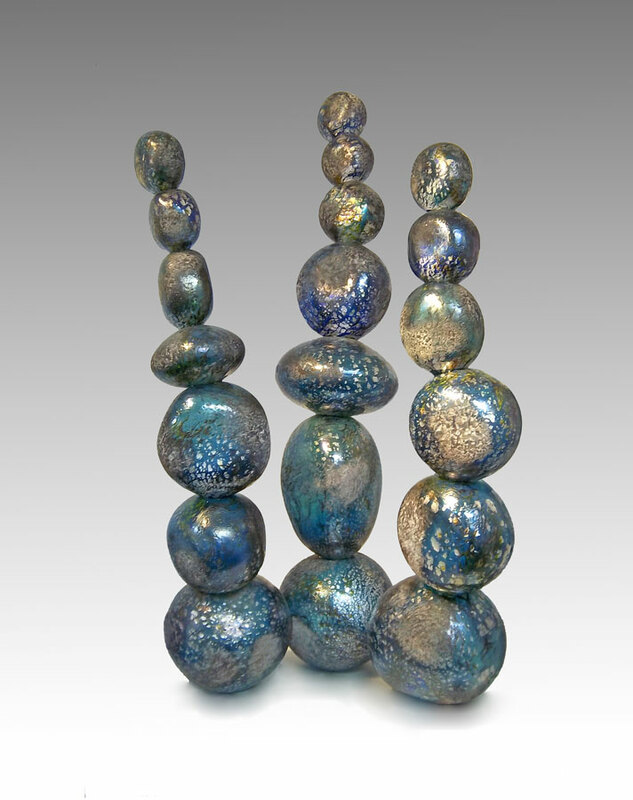 In the late eighties I began to miss my roots in clay and started using glass as a material for “hand-building”, i.e. making slabs and coils from molten glass and putting them together hot. Many sculptural forms emerged from this process, but the “Canastas” (large baskets and bowls of woven, colorful coils) became the best-known pieces from this endeavor. In the early nineties, I was able to renew my passion for drawing by painting with enamels on blown glass forms. 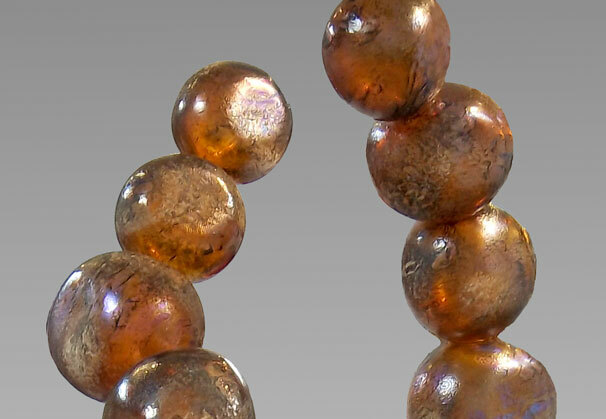 Multiple layers are achieved by “casing” hot glass over each successive painted layer before the final expansion. The themes behind these pieces range from “The Blind Leading the Blind” to “See No Evil, Hear No Evil, Speak No Evil”. In the late nineties, I began research into “Scavo” surfaces applied to the glass. This work is now the “Venerable Vessel” series, a collection of large vases and bowls with bright contrasting interiors to offset the ancient look of the surface. 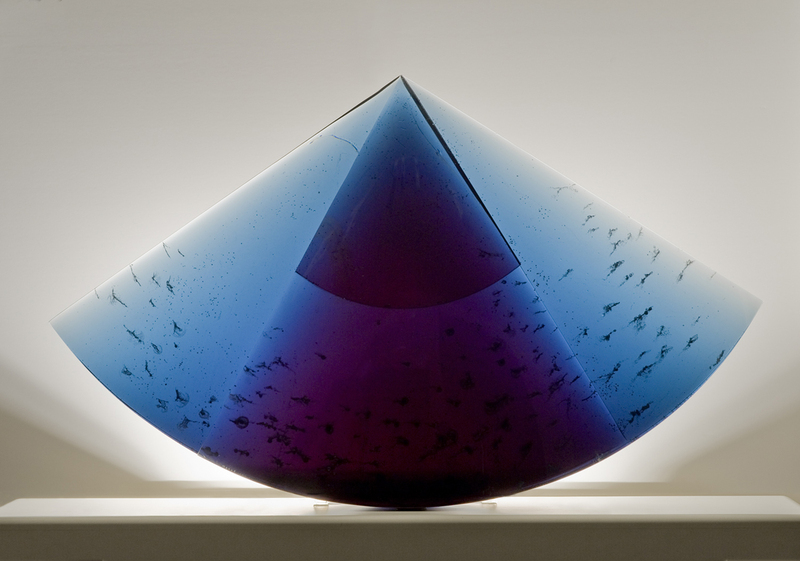 Philabaum Glass Gallery began by showing the works of artists I most admired. 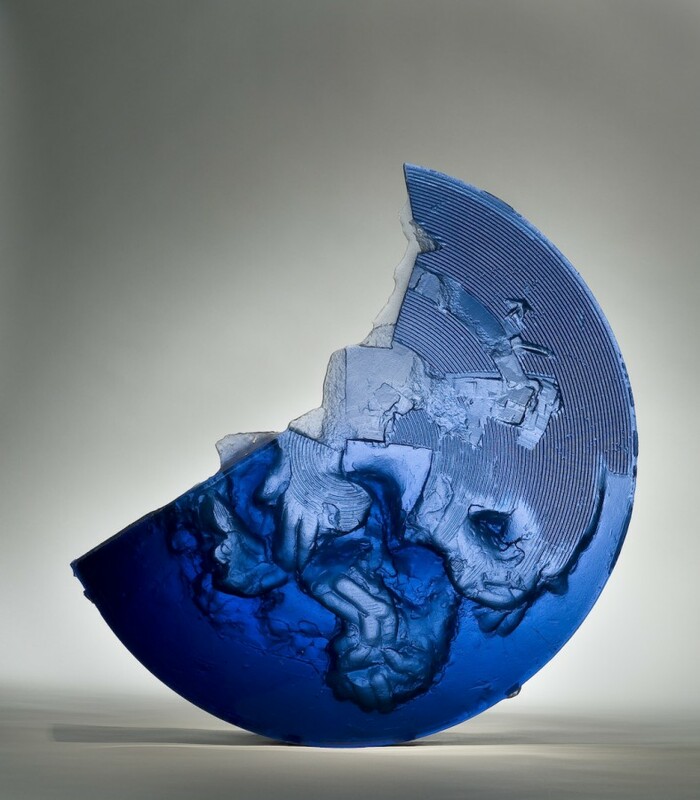 Photography, ceramics, paintings, sculpture, monoprints, drawings and glass have been represented, but since 1991 we have exclusively shown glass. 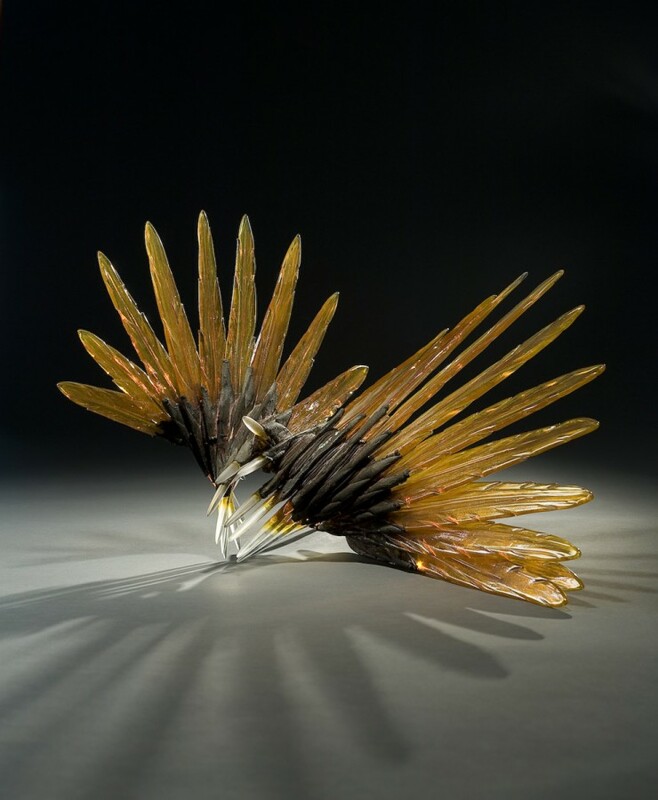 Over 400 glass artists have participated in our exhibitions through the years. 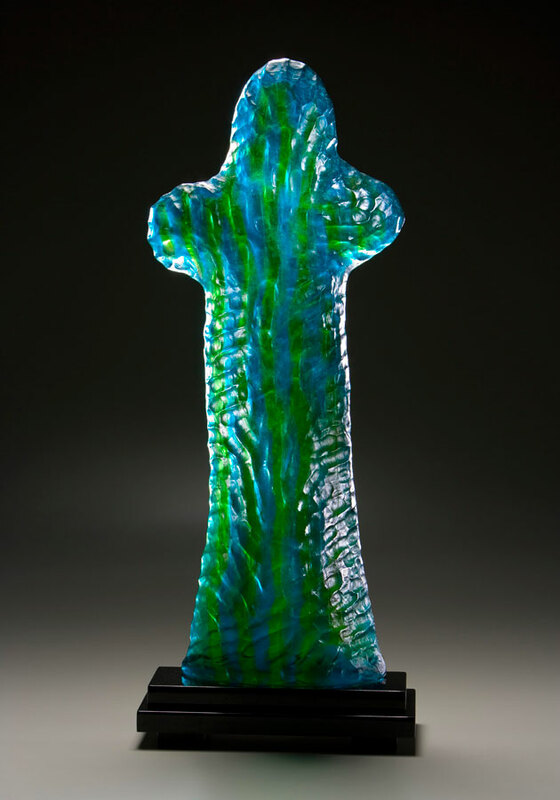 From 1993-96, I served on the board of directors of the Glass Art Society. During that tenure, I was able to assist in the running of conferences in Toledo, Oakland, Asheville, and Boston. All good training, because in 1997 I was the co-chair for the largest conference ever; in Tucson. During the conference I had the good fortune to co-curate a major glass exhibition at the Tucson Museum of Art with Joanne Stuhr (Curator of Exhibitions at the Museum). In April 1998, I was invited to perform a demonstration of my "Handbuilts" at the Glass Art Society’s 28th Annual Conference held in Seto, Japan. I also taught a weeklong workshop in Shizuoka, Japan at Sunpu Studios. In 1998, Governor Jane Hull presented me with the Arizona Governor’s Art Award for Artist of the Year. And in 2000, the Community Foundation for Southern Arizona awarded me the prestigious $25,000 Arizona Arts Award in recognition of significant contribution to the growth and development of the arts in Arizona. 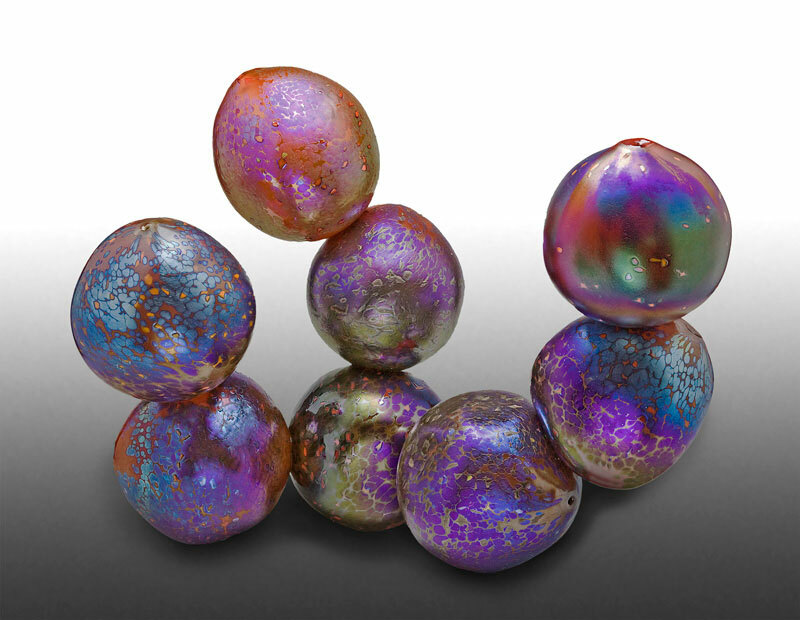 Also in 2000, I began teaching nationally accredited classes at Philabaum Glass, giving birth to the Sonoran Art Foundation, co-founded by David Klein and myself, now known as the Sonoran Glass School. The non-profit school now resides in it's own location, and I continue as adjunct professor for the students taking classes for credit through the University of Arizona and Pima Community College. The school continues to enjoy growth, dedicated to the education and appreciation of glass art. 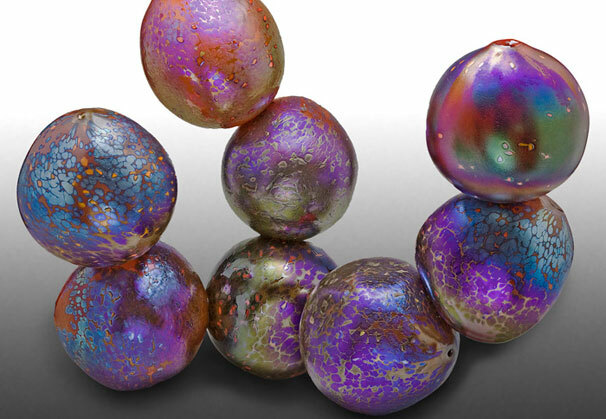 Between 2002 and 2007, Philabaum Glass expanded with an additional gallery in the foothills of Tucson. In 2010, I collaborated with the Sonoran Glass School to organize and host the first Tucson Glass Festival, presenting live demonstrations with visiting artists and exhibitions in galleries and museums throughout Tucson. After 40 years of making art, I continue to be inspired. I am currently enjoying working with designers and architects on large installations. 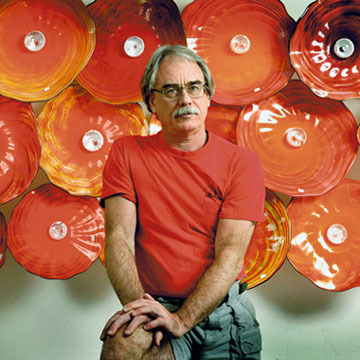 Tom Philabaum has explored many techniques and created many series of works during his 40-year career in the glass studio, while also maintaining a gallery exhibiting the works of hundreds of his colleagues through the years. He has been a trustee on several boards, founded a school, and contributed to his community through glass arts education and support of nonprofit efforts. 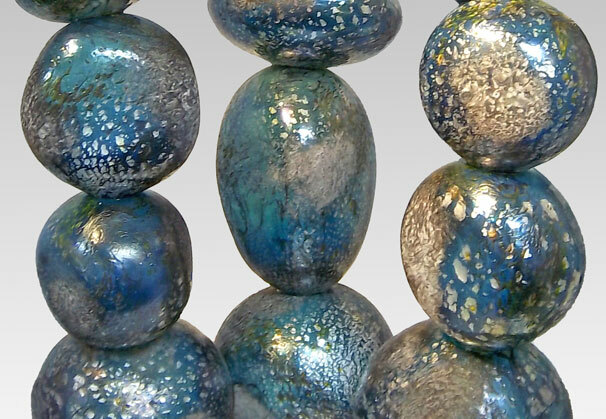 One of Philabaum's latest series plays on the organic, earthy theme of rocks. 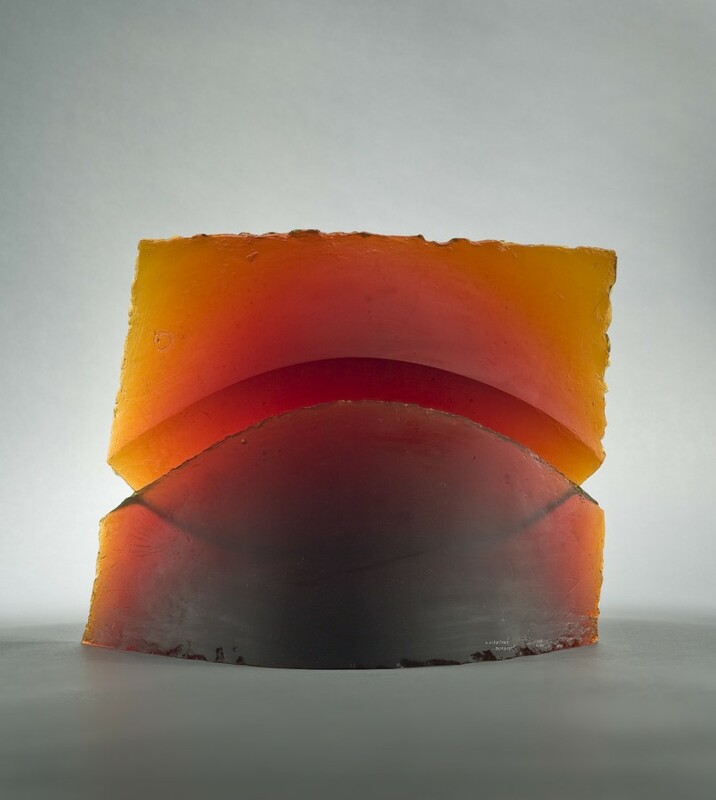 The rock series came about by exploring shape-making techniques whose consequent reesults were not a vessel. He originally conceived of sculptures composed of many parts or fragments to create the whole, resulting in the Precarious Rock sculptures. 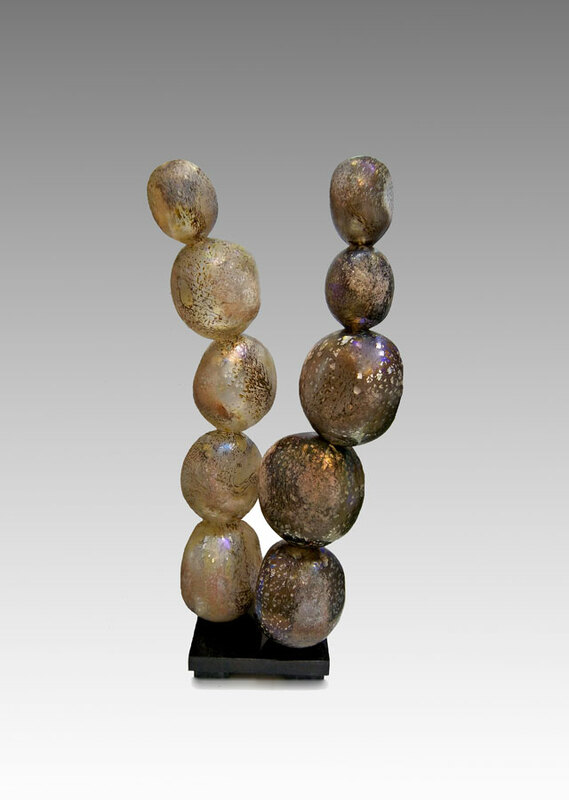 The precarious notion comes from the fact that the rocks are laminated in seemingly gravity defying positions. 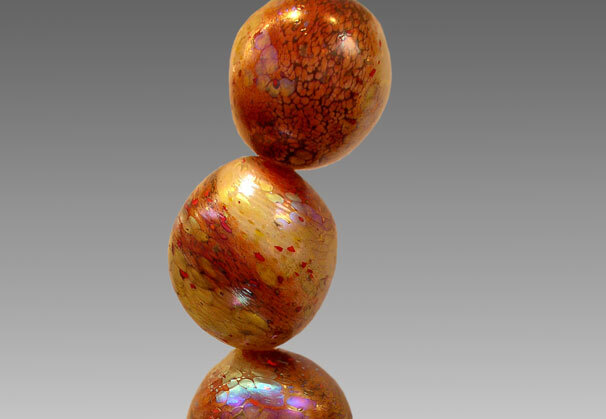 We are grateful to Philabaum Glass Gallery, Tucson, Arizona, for providing the materials for the Artist of the Month.